If you are a looking for a classic design staple, the Roxburgh table lamp is the perfect solution. The Roxburgh range from Heathfield & Co is the perfect lighting solution for modern living. The classic table lamp has been transformed to incorporate a versatile design feature. An ingenious feature is the articulated joint which has been added to the base of the shade and can be angled to light all your living space. This modern interpretation of the classic table lamp is available in three metal finishes; chrome, bronze and antique brass. Seen here with a square ivory satin finish on the lamp shade, please enquire for other colour way options which are available. 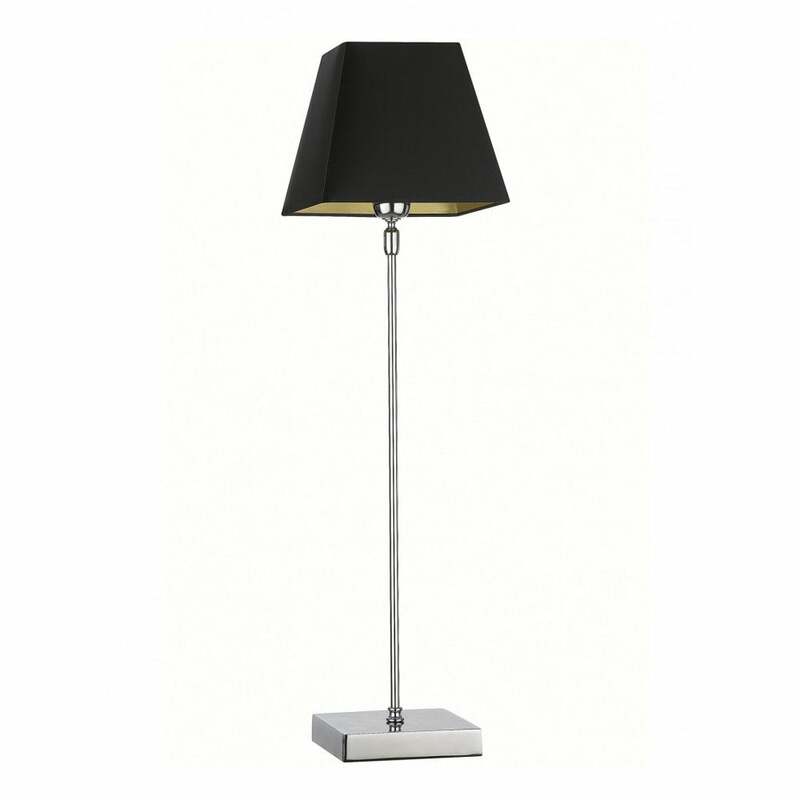 Style the Roxburgh table lamp with the floor lamp also available in this contemporary range. Priced for 8" Panelled Square shade in silk with white PVC lining. Please contact us for other options.